The last days of the Civil War. 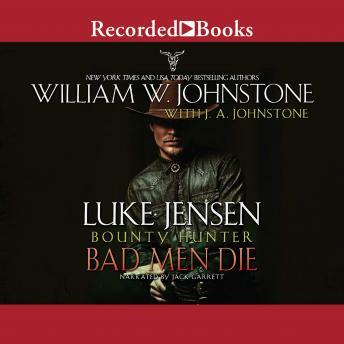 With Richmond under siege, Confederate soldier Luke Jensen is assigned the task of smuggling gold out of the city before the Yankees get their hands on it - when he is ambushed and robbed by four deserters, shot in the back, and left for dead. Taken in by a Georgia farmer and his beautiful daughter, Luke is nursed back to health. Though crippled, he hopes to reunite with his long-lost brother Smoke, but a growing romance keeps him on the farm. Then fate takes a tragic turn. Ruthless carpetbaggers arrive and - in a storm of bullets and bloodshed - Luke is forced to strike out on his own. Searching for a new life. Hunting down the baddest of the bad...to become the greatest bounty hunter who ever lived.